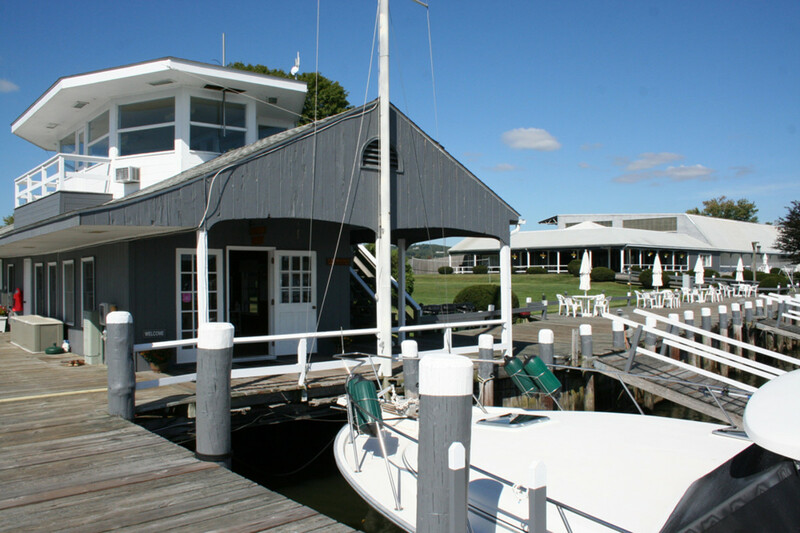 The Brewer Yacht Yard Group acquired the 125-slip Essex Island Marina at an auction in August. ESSEX, Conn. — A free weekend to tie up at Brewer Essex Island Marina was the successful game plan that the Brewer Yacht Yard Group executed to reintroduce its newly acquired marina in southeastern Connecticut. “We had 74 boats make reservations for the weekend, which we’re very happy about,” general manager Doug Domenie told Trade Only Today on Friday. Despite a rainy Saturday, the transients, a mix of existing slip holders, Brewer customers and non-customers taking advantage of the deal, committed to the full weekend and were rewarded with a sunny Sunday. The unique marina was founded in 1955 on a 13.2-acre island on the lower Connecticut River about 5 miles north of Long Island Sound. What began as a boatyard and a few slips soon developed into a marina known for its amenities and services. The Brewer Yacht Yard Group acquired Essex Island Marina with a winning bid of $3.15 million for the 125-slip marina at a public auction in August. The marina offered free dockage, morning coffee and pastries, a wine-tasting event and a live band performance during the weekend to attract potential customers and create a buzz for the marina. “We’re hoping to get the feeling like it was 10 years ago here, when you had to call a year in advance just to get a slip,” Domenie said. Domenie, who also manages the adjacent Brewer Dauntless Shipyard marina, said that reviving the longtime family-owned marina will help the group build it into another “destination marina” in its now 24-strong marina group. In addition to the slips in the marina, a pool, restaurant, lounges and other offerings, the island has indoor storage and full-service capabilities, including a 30-ton Travelift. A unique asset of the location is the amount of open space it has, including a grassy lawn, a sandy beach and picnic areas.